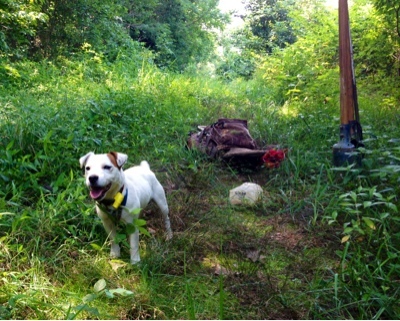 People who care about working terriers are generally dismissive of the Kennel Club, for the simple reason that they know what the Kennel Club has done, through either omission or commission, to the working terriers they care about. The simple fact is that no working terrier has ever been created by the Kennel Club, but every working terrier breed that has been drawn in, has been destroyed there. The Reverend John Russell noted the negative impact of dog shows on working terriers -- he judged only one show (when he was a very old man), and he swore he would never do it again! Though the destruction of working terriers started with the Allied Terrier Shows run by Charles Crufts in the U.K. (Crufts was a dog food salesman who never even owned a dog himself! ), the Americans quickly got into the game as well. A quick historical tour of "Best in Show" winners at the Westminster Kennel Club Show in New York City suggests the intense attention given to terriers at the turn of the 20th Century. 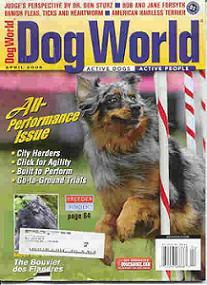 The first "Best in Show" winner at Westminster in New York City was in 1907. This first "Best in Show" winner was a smooth fox terrier that looked a little bit like today's Jack Russell. Fox terriers won again in 1908, 1909, 1910, 1911, 1915, 1916, 1917, 1926, 1928, 1930, 1931, 1934, 1937 and 1942. A Sealyham (another working breed ruined by the show ring) won in 1924, 1927 and 1936. Airedales made Best in Show in 1912, 1919, 1920, 1933, and 1936. A bull terrier went Best In Show in 1918, and a Welsh Terrier in 1944. As you can see, almost all the early winners were terriers, and most of them were fox terriers. 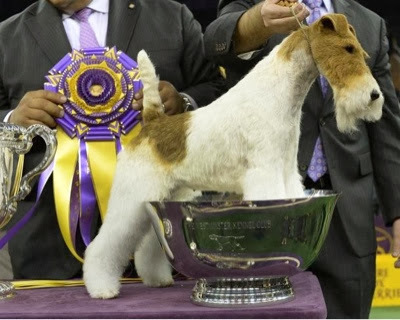 It was during this period that the face of the fox terrier was elongated and the chest enlarged by show ring breeders. Prior to World War II, if you were really intent on wining the top award at a dog show, you went into fox terriers. Probably no breed could have survived such intense attention without being wrecked by fad, and the fox terrier certainly did not. 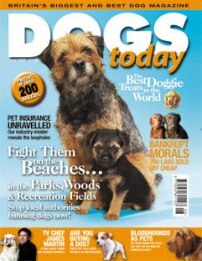 A popular line of rhetoric within the Kennel Club crowd is that individual breeders ruin the dogs, not the Kennel Club itself. This rhetoric is designed to absolve the Kennel Club of its responsibility for the genetic decline of working dogs. 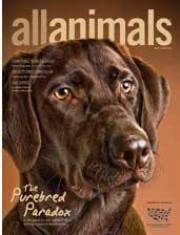 In fact, the rules and selection bias of the Kennel Club are a very large part of the problem -- every much a part of the problem as individual breeders (who have no power to reform the Kennel Club itself). The genetic destruction of working dogs begins with the fact that the Kennel Club mandates that each breed club "close" its registry after an initial influx of "pure bred" dogs. In fact most breed clubs start with a very small base of dogs, and then move to close breed roles as quickly as possible in order to create economic value for the breeders that are "in" the club. A closed genetic registry results in increasing levels of inbreeding and increased concentrations of genetic faults. In fact, Kennel Club dogs are so deeply inbred and rich with genetic defects that mapping the genome of Kennel Club dogs was one of the first tasks undertaken by genetic scientists eager to crack the human genetic code in order to eradicate diseases. 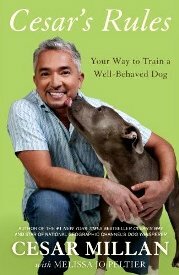 If you are looking for the gene associated with genetic deafness, it is rather hard trait to find in a random-bred human, cat or chimpanzee, but thanks to Kennel Club inbreeding, there are entire lines of deaf dogs, with deafness common to 25% or more of all puppies from some breeds. Genetic defects associated with ataxia, cataracts, dysplasia, and dwarfism are similarly easy to find by simply comparing one breed, or line of dogs, with another. Along with a requirement that breed registries be closed, the Kennel Club rejects the notion that there should be a morphological continuum within the world of dogs. In fact, "speciation" of dogs based on looks alone is what the Kennel Club is all about. Under Kennel Club rules and "standards," a Cairn terrier cannot look too much like a Norwich terrier, which cannot look too much like a Norfolk terrier, which cannot look too much like a Border terrier, which cannot look too much like a Fell terrier, which cannot look too much like a Welsh terrier, which cannot look too much like a Lakeland terrier, which cannot look too much like a Fox terrier, which cannot look too much like a "Parson Russell" terrier (the non-hunting, show-ring version of the Jack Russell Terrier). The show ring is all about "breeds," and all about differentiating one breed from another. 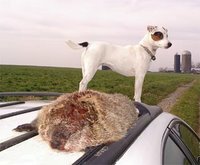 In the world of the working terrier, of course, the fox or raccoon or groundhog does not care too much what breed the dog is! In fact, the fox or raccoon cannot even see the dog it faces underground, as there is no light inside a den pipe. What the fox cares about is whether the dog can actually reach it at the back of the sette. The good news (at least as far as the fox is concerned!) is that a Kennel Club dog often cannot get very close to the quarry . The reason for this? A Kennel Club dog is likely to have too big a chest. The overlarge chests you find on so many Kennel Club terriers are a byproduct of putting too much emphasis on head shape and size. By requiring all the terriers to be morphologically distinct from each other, the Kennel Club puts tremendous emphasis on heads. 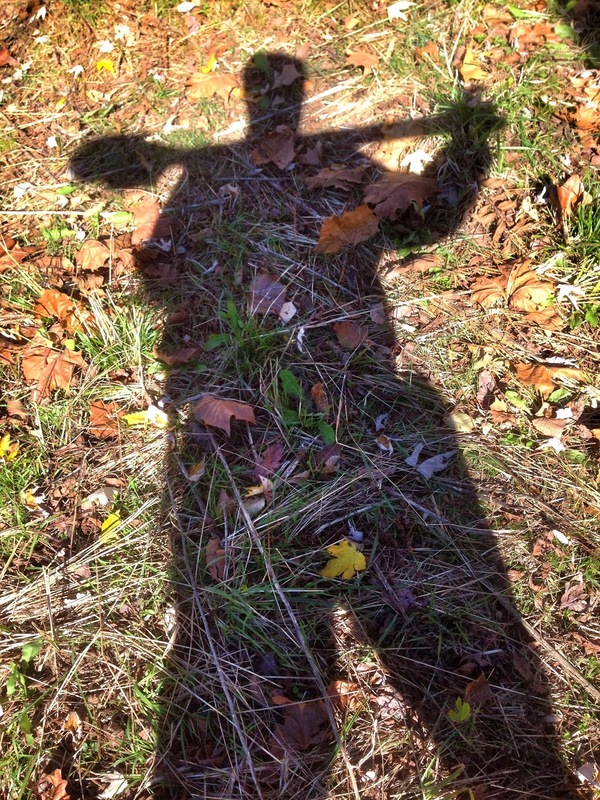 People who do not dig much (if at all) imagine that a big head is important to work. In fact, it really is not; most small cross-bred working terriers have heads big enough to do the job, and are well-enough shaped to boot. An over-emphasis on terrier head size almost invariably leads to a larger chest size on the dog -- a bigger chest size is needed to counterbalance the larger head, since one is attached to the other. 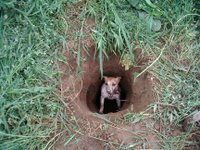 A large chest size, in turn, results in a dog that cannot easily get to ground in a tight naturally-dug earth. 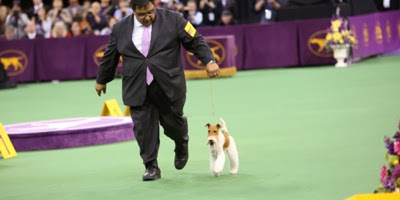 The end result is what we see in the Kennel Club show ring today -- transvestite terriers. These dogs may LOOK like they can do the part (and they are so eager! ), but when push comes to shove, most of them lack the essential equipment to do the job, whether that is chest size, nose, voice, brain, or a game and gritty character. 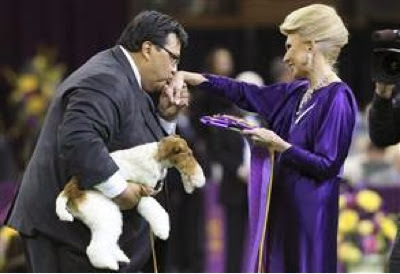 A perfect example is the "Best in Show" winner at Westminster yesterday. The winning wire fox terrier has a coat as puffy as a poodle, has a tail that looks like it was added after the fact with a hot glue gun, and has a chest as deep as the keel of a war ship. 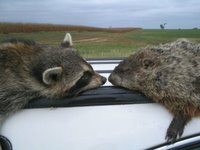 The eye are small and better suited to a ferret, the head is narrow and long, leaving for a weak jaw and a nose buried in fur. The dog's back is too short for it to turn around in most dirt dens. And, of course, the dog has never worked at all, and never will. This is a dog judged by a woman in an evening gown who knows nothing at at all about terriers, and led on a string leash by a man as heavy and out of shape as Chris Christie. Compare and contrast with the dogs at top, back before the show ring wrecked the fox terrier. The fox terrier is a working dog? Not in this country, and not for the last 100 years. Skim milk is sold as cream and nowhere is that more true than at the AKC. I happened across an old "Dogs of the World" poster over the weekend and couldn't figure out what the sleek, athletic looking creature under the "Fox Terrier" entry was doing there. Nor have I ever really understood how my little rat terrier was supposed to have been bred, in part, from those goofy, awkward, long faced Fox Terriers you see around. Now I get it. Patrick, where did you find that fabulous photo? Not sure where the top picture comes from. Over 120 years old. I save a lot of pictures as I come across them. 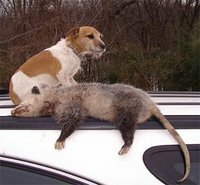 Some day I'd love to see an analysis of the rat terrier (my brother's favorite). Bred for purpose (he uses his to keep rats out of the hay barn, but they are mostly house pets). 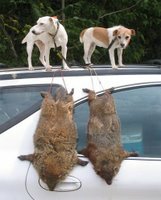 Seems to me there long history of terriers used for vermin control...but not necessarily for going to ground. Couldn't say it better . I breed Wires and have seen what has happened since my first litter in 1961 . I have a UK Wire year book from 1923 with all the top dogs. Most about 70% with tan / tan and white heads and white bodies or just a few spots with the exception of one breeder who had the very rare "hound marked " wire . The fore runners of the heavy saddled Wire we see not . IMO any dog competing in conformation should also be able to do with they are bred for . BTW I also have an 1894 NY dog show paper with the BOB Wire that looks more like a JRT that the Wires in 1923 .